Ocala, FL (February 13, 2017) – Three-time World Equestrian Games Silver medalist and 13-time U.S. Four-in-Hand National Champion Chester Weber will be the keynote speaker for the February 15, 2017 exCEPtional Mornings Business Briefing Breakfast at the ITW Facility at Ocala Breeders’ Sales in Ocala, Florida. The event is put on by the Ocala/Marion County Chamber & Economic Partnership (CEP). 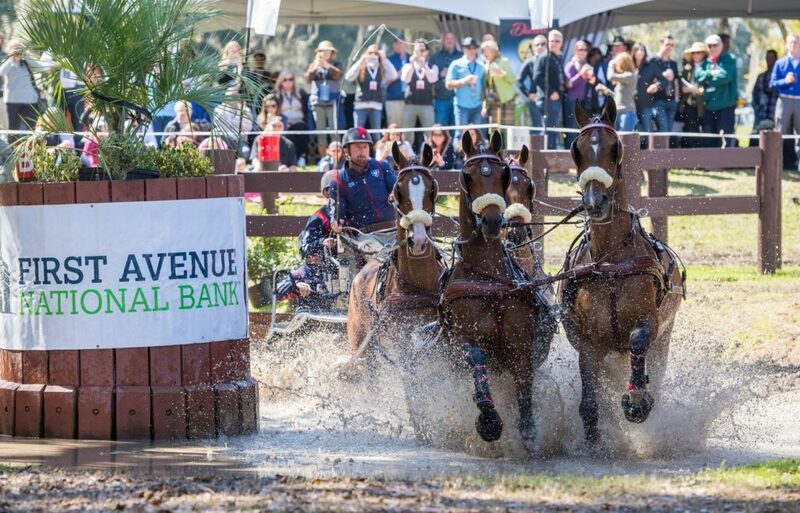 Weber was tapped to present at the event because of both his significant accomplishments in the sport of combined driving and his family’s multi-generational contributions to a range of equestrian sports – from racing, show jumping, and driving to hosting the Live Oak International, the largest equestrian competition to feature both jumping and driving in the U.S. The 26th Live Oak International will be held on March 9 -12, 2017, on the pristine grounds of the 5,000-acre Weber family estate. Director of Equine Engagement at the Ocala/Marion County Chamber and Economic Partnership (CEP) Louisa Barton explained, “We wanted our keynote speaker to be someone who is a superstar in Ocala and the surrounding area, and Chester certainly is that. We felt like we could highlight Live Oak International, which is a very important event in our community hosted at the Weber family’s Live Oak Plantation. The Weber family is so rooted in the equine industry – not only in the four-in-hand, but in all aspects of the industry. The exCEPtional Mornings Business Briefing Breakfast events offer CEP partners an opportunity to learn from keynote speakers like Chester Weber about topics of significance to the regional or national business scene, while also providing an opportunity to network.